Stanford Research Systems is a company at the forefront of innovation in scientific and engineering instrumentation. We are located in Sunnyvale - about 50 miles south of San Francisco. Sunnyvale is home to many world‐class companies including Google, Apple, Lockheed Martin, Yahoo, LinkedIn, and Microsoft. 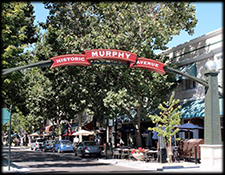 With a temperate climate, great schools, diverse restaurants, and access to the cultural richness of the Bay Area, Sunnyvale has a lot to offer. SRS provides a unique work environment for engineers and scientists who have the intelligence and motivation to prosper in it. Simply put, we leave you alone to work on a project. You get what you need, when you need it. We don't bother you with silly meetings or inane reports. You simply get to do the work: from product conception through development, design, and production. If you have a better idea, you get to try it. No manager is going to step on your ideas or steal credit. But in return, we expect a lot from our scientists and engineers. Most of our technical staff have Ph.D's in E.E., Physics, or Chemistry, as well as being top notch programmers and circuit designers.